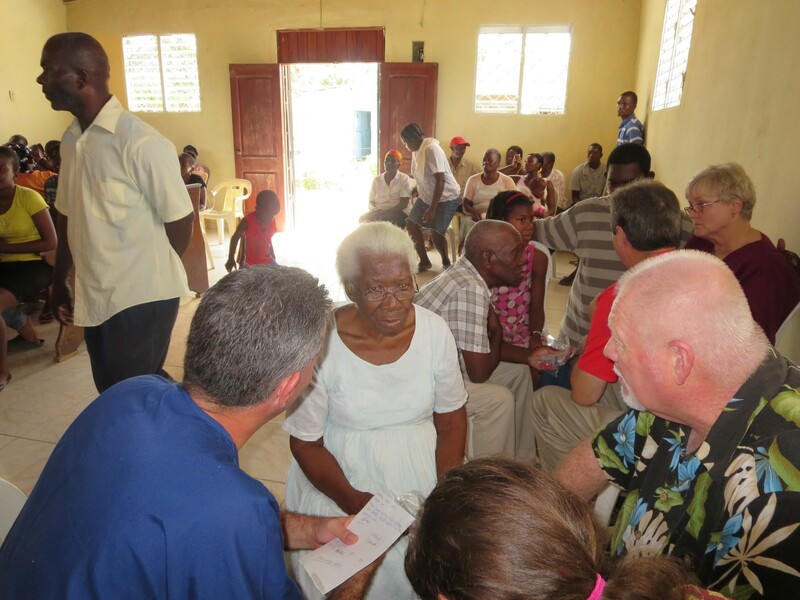 This is a follow-up to last week’s mission work in the Dominican Republic. It is also a way to let you see some of the ways your prayers, gifts, and talents were used by God to care for one of His own. In June, one of my posts had the title above. It was written to engage people to pray for Fatima and help her with the ministry she has in Brizas del Mar and Hope Mission (in La Romana). 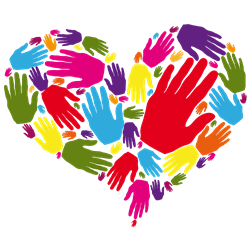 People responded with gifts for the work and others responded by volunteering to go. Still others agreed to pray and every bit of it was needed and helpful. 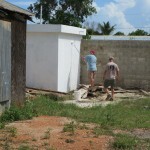 Last week’s mission team had multiple construction projects. One was at Fatima’s house. 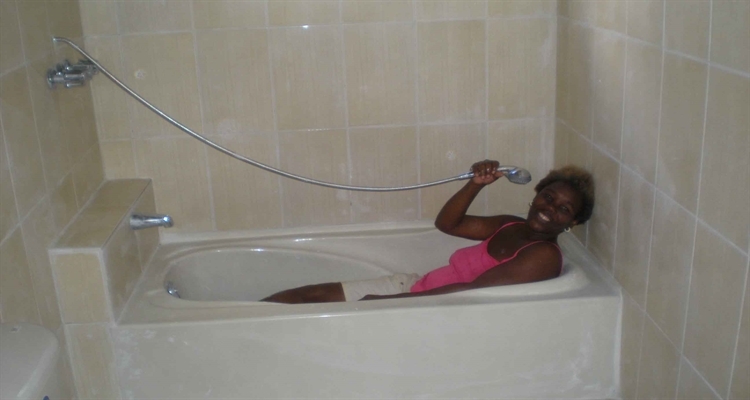 Her house had no functional bathroom. 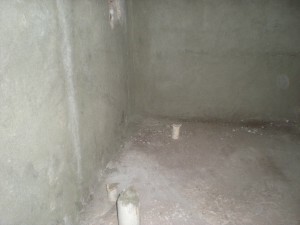 The team started from scratch and provided this community healthcare nurse a bathroom. 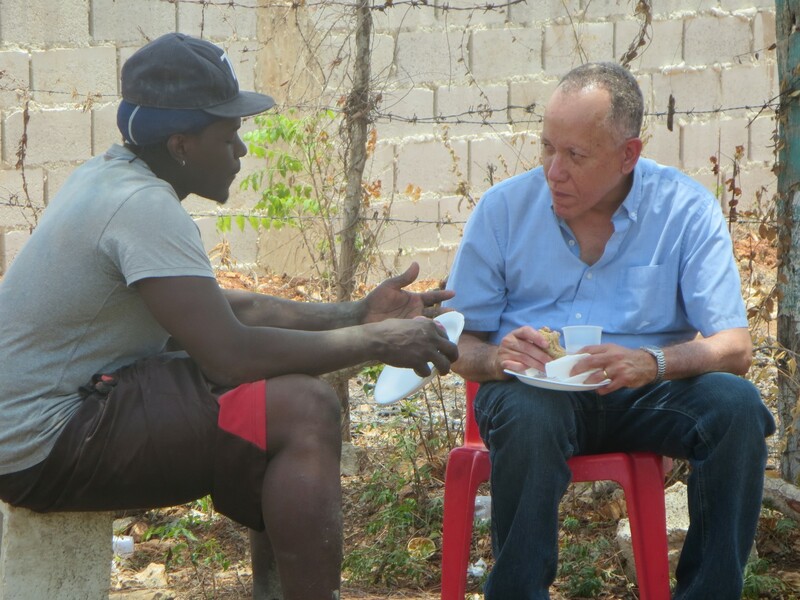 As I said in the previous post, I cannot (you cannot) personally reach and minister to all the people in this neighborhood of La Romana. 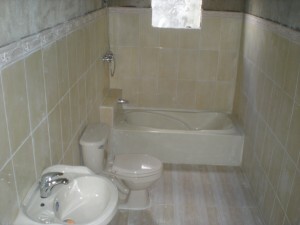 However, I can assist the person who at one time or another will see nearly every person who lives there. That is what we did: We assisted and enabled a faithful minister to do her job a little better. 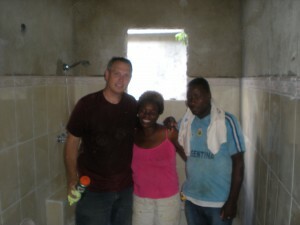 All the comments I received from the mission team told me Fatima was grateful, overjoyed, happy, and tearful. Obviously, her emotions ran the gamut. My goal here is to share the work with you (also see posts from last week) and to thank you for making such a difference in her life and ministry. 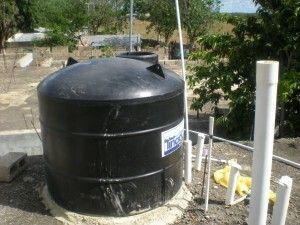 Water tank on Fatima’s house. This is how it works in many places. This is a call for help. It’s probably not what you are thinking. Please give me a second to explain because you may know where to find the help we need! 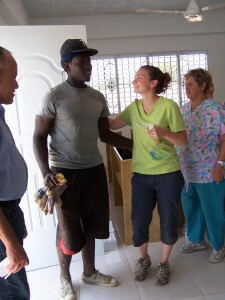 One of my favorite pictures of mission volunteers speaks volumes! Together, we can do what none of us could do alone. That’s why I am compelled to seek your help today. And please notice there is more than one need, so look all the way to the end 🙂 . 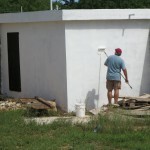 Mission Volunteers are needed for La Romana and Belize. 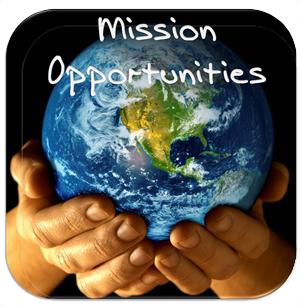 The problem is, these mission opportunities are happening soon! I need your help finding help. People usually think “Help = $” and sometimes it does. Not today. First, we need to pray. Then we need to find helping hands. 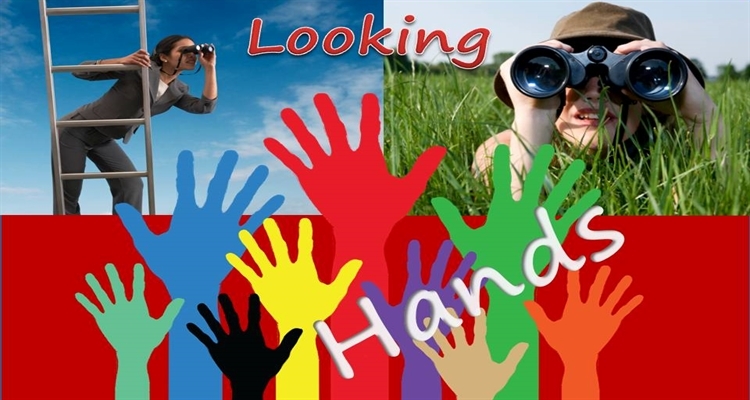 The work that needs to get done needs helping hands to do it. We can take care of the $ later. 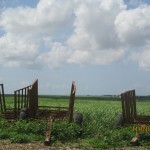 Please see the links to La Romana and Belize and share these opportunities. If YOU or ANYONE else wants to ask questions or be a mission volunteer, instructions are on the link pages. Want it to be even easier? Just reply to this post in the comment section at the end. I’ll take it from there! 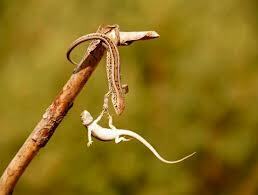 What a helping hand looks like! 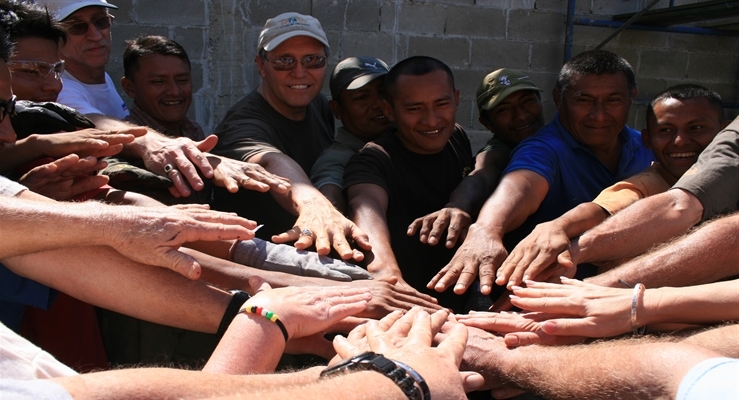 Some people would love to be a mission volunteer but circumstances or health prevent their travel. That’s no cause for worry! I have shared in other settings the need for administrative help. The ministry opportunities and demands before us necessitate me finding some hands-on help right here at home. We are looking for an administrative assistant. To begin, this position needs to be filled on a volunteer basis. My prayer (will you pray, too?) and hope is contributions will rise enough to make it a part-time position and it might even turn into a full-time position. Only God knows how it will unfold. If you know people (someone/anyone) who might be interested in being mission volunteers, please share this post with them. Then please send me a private message or reply to this post so we can talk about this mission opportunity. 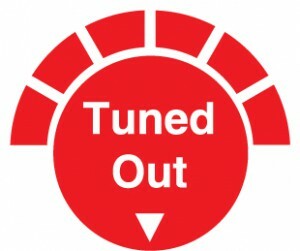 Hearing is one problem with ministry and mission. I am in the car a great deal. I usually refer to it as the mobile office. Earlier this week I was driving to an appointment. Christian radio was playing. My thoughts were on the many things that need to get done and all that is necessary to accomplish them. What was I missing? And was I encountering an new problem or one that is quite old? You may be surprised! A great preacher was giving a sermon. I was aware, but not listening. Another show came on. Again, I was aware but not really engaged. I’ve just returned from the third of five mission efforts in four months. 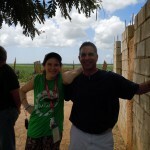 Last week’s mission to La Romana was a great blessing in many ways. But the need to look forward is always present. I’ve been trying to communicate to anyone/everyone the importance of it all. In the car, I realized I was a demonstration of the problem. I was hearing but not listening. Listening is a vital mission tool, for all of us! He that has a ear, let him hear what the Spirit says to the churches. Our current deluge of electronic communications began with the telegraph. Like other English words, it didn’t take long for the noun to become a verb. The word telegraph came to describe what one did or didn’t want another person to know ahead of time. I’ve heard coaches (various sports) instruct their players not to telegraph to the other team what is coming next. No, I’m not suggesting we use the telegraph. 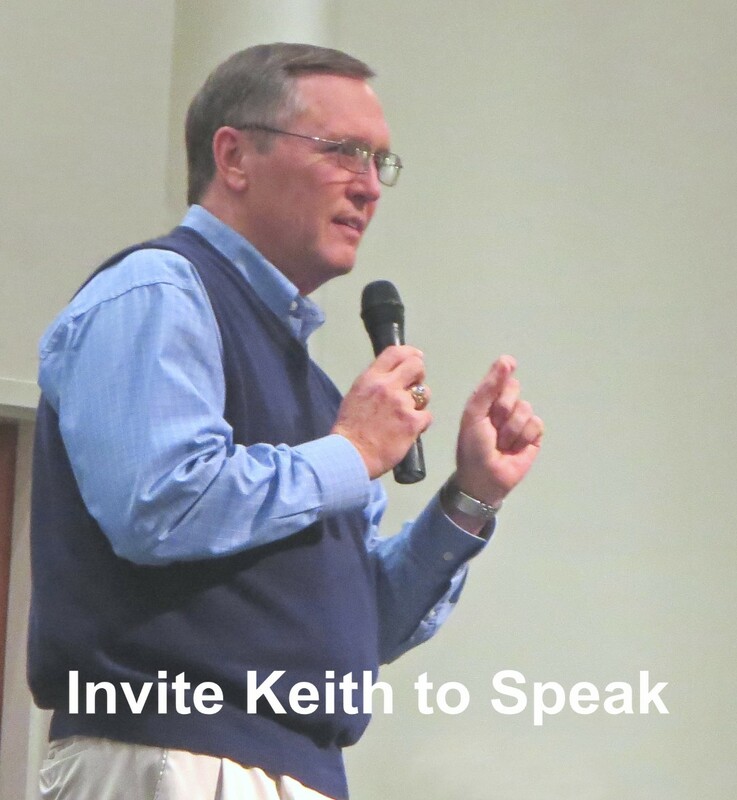 The only reliable answer to getting our message out is prayer for open hearts and ears. I am praying as I type that this will touch open ears and hearts. 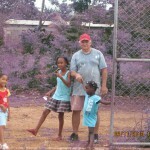 But this post is also telegraphing those who know me and are associated with this mission ministry. Something is coming! Tomorrow (Friday) you will receive an email. That’s unusual because I don’t send many direct, personal messages. I know you are already on overload. So please check your email tomorrow and see what lies before us. You can pray and telegraph me back! Check it out. Have you thought about your life as an invitation? Should you think of it that way? If you do, who is supposed to see as an attractive invitation? Is this post a how-to for living inviting lives or a report on what happens when we live that way? It’s hard to say, but the two are connected. In John 17, Jesus prayed for His followers to be one just as He and the Father are one. Is that true in your church? Jesus’ reason for that part of His prayer is actually in His prayer: So the world will believe that You sent Me. Think about that. How you and I relate to each other has a direct bearing on unbelievers. That’s true whether we like it or not. 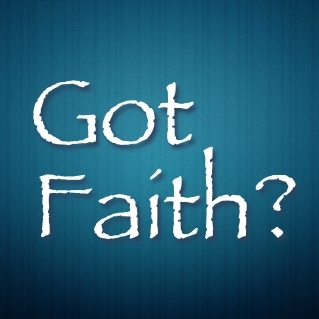 Our actions, good or bad, either invite unbelievers or put them off. 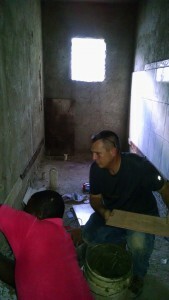 As our team began work last Monday in La Romana, there was a local young man working with us. His name is Tiko. We soon came to learn he is a baseball player. He is actively being scouted by professional baseball teams here in the States. Our team had many things to do. Little did we know God had Tiko on our list! He spent three days working with our team and it caused him to do a couple of amazing things. In order for him to know that there must have been an inquiry into spiritual things at some point in his past. That being the case, his question on Thursday morning is all the more incredible. 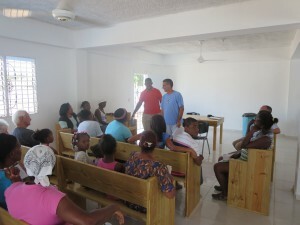 New believer introduced to La Romana team. He spoke with one our men. He shared his past, what he had been told, and that he wanted to have the kind of joy he saw in us. In short, he was stepping over the hurts of the past in order to inquire again. That says a lot about him and it says a lot about us living attractive lives! Let your light so shine before men that they will see your good works, and glorify your Father Who is in heaven. Tiko wants to join our sports evangelism team that leaves for Barahona at the end of this month. I am doing everything I can to raise the money necessary to include him on our team. We want to have some time to disciple him and let him hang out with some outstanding Christian young men and coaches. There it is. An awesome story of something only God can do. Will you help us include Tiko on the team? Make checks payable to ROW and send to my PO box (on front of website). Just put a note in your envelope: Tiko. Thanks much. Insight has a way of showing up in the most unexpected places. Our ROW mission team was blessed with great insight during a home ministry visit in La Romana (see Keith Burnett Ministries Facebook post). A bit of perspective comes from the New Testament account of the woman that washed Jesus’ feet and dried them with her hair. He said as long as times lasts, her actions would be told. Some stories just preach a message all by themselves. A man from La Romana is preaching clearly! We visited an older couple. 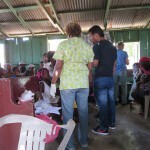 We took food to their home and inquired about other needs. Life for this couple is not cluttered with an excess of possessions. Prayer is required for just about anything they need. And we asked them how we could pray for them. If we had been at your house, how would you have answered? The blessings that are yours may have kept you from a laser-like focus on the important things. The gentleman did not hesitate with his answer. We can all learn from what he said. 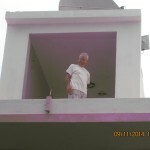 Not only was the family in physical need, the man is losing his eyesight. Would you have asked for healing in his situation? He did. That is perfectly predictable and in order. Surgery may be an option for his condition, but there is little chance he could ever afford to have it. His only recourse is prayer to the Great Physician. And who knows, God may prompt someone to use modern medicine to address this man’s sight. 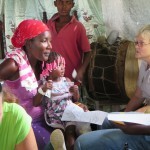 Demonstrating solar Bible to community nurse. She will deliver it to blind man. It’s easy to predict we would all join this dear man in asking for healthy eyesight. But the insight isn’t in the request. Insight lies in the reasons for it. Why you ask for better eyesight? When he shared the request he immediately connected it to his reasons for asking. He wanted to be able to provide for his family. Think about that. This could turn into social commentary real quick! He wasn’t looking for someone else to provide for him and his family. He wanted to enjoy that responsibility. That thought is quickly becoming scarce here at home. But that’s not the most important application. Provision is done at many levels. Let’s apply this to church life. Whose job is it to provide for the spiritual well being of your family? Is that primarily the church’s job, or your job? Do you embrace it, or expect others to do it for you? The church, and society at large, is suffering because too many have given this responsibility away. The second reason he shared for wanting his eyes healed was so he could continue reading his Bible. Where would that have fallen on your priority list? It seems to me this gentleman could see very clearly! We should all be so blessed! As I shared in the Facebook post, we provided him with a ROW solar Bible. 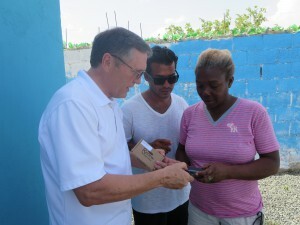 That is just one more way you help us minister in places like La Romana. Remember, proper priorities will build a better you, and a better you builds a better world! Is There a Healthy Fear of Prayer? There should be fear of prayer! Who should fear it? The enemy would have you believe YOU should fear it. You should not. But if some should fear prayer, who are they and do they fear it? History records Mary Queen of Scots said she feared the prayers of John Knox more than all the assembled armies in the world. The Queen knew the heart and prayers of the reformer John Knox. She knew her strength was no match for the hand of Almighty God. She feared the prayers of Knox. What’s that got to do with you or La Romana? Earlier in the week I asked you to pray. Our team prayed. We prayer walked and we kept praying. In response to those prayers we have seen many things. One of them is a record turn out for the Pastors’ School. Why does that matter? When God’s people seek His power and His glory, He will act and answer. The problem is, the prayer (s) has to be made. If we ask we will receive. If we knock it will be opened. If we seek we will find. Clearly, God acts in response to our obedience in prayer. His enemies often don’t fear prayer because there aren’t many prayers being offered! In our case, many prayers were offered and they have been mightily answered. Hell has taken notice of God’s answers. Does that mean our prayers are finished? No. It means they have just begun. A record number of people have attended this week. So far we have had 45 students. Those will return to their churches with a new understanding of what the Lord meant when He said He would build His church. That will cause change to take place. What was unhealthy can become healthy. Those that don’t want the change are the ones who should fear the prayers of God’s people. Now, who fears prayer at home? Anyone? Who should fear the prayer of God’s people? Maybe those who are killing Christians in India, the Middle East, and other places should fear the prayer raised against their actions. We also prayed for that this week. Did you? I hope so. You see, God has not grown weak. He has not become senile in His infinite age. The problem is, the world needs to hear the sound of God’s people joining hearts and hands in prayer for divine intervention in the affairs of men. When that happens, I think many will fear prayer! Thanks for your prayers. Will you continue? Some of our day is already up on Facebook. But the biggest part is here. Yesterday I asked you to pray. Apparently, you did! Here is what happened today. Our on-site response to the needs before was to start the day with a prayer walk. 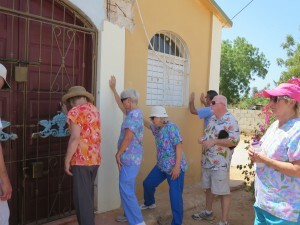 We walked through the barrio and prayed for churches, homes, families, and individuals. In our evening share time, one team member said she started on the prayer walk not fully convinced I knew what I was doing (or something to that effect). She also said the prayer walk turned out to be an incredible blessing to her. She was very moved. God sent us a quick confirmation that we were following His path for today’s ministry. We were not 25 steps away from the gate to Hope Mission when a lady stopped us. She asked us to come and pray for her and her family. I don’t know if anyone asked for a sign, but that was a good one! Our evening share time allowed personal affirmations of what God had done in our team members’ lives today. One of our BIG prayers has been the school here. Not only has it been difficult since pastors have such mistrust in each other, we were beginning class on a holiday! We had no idea if we would have any students. It started like this. I had the first session of class. When I began there was ONE Dominican in the class. Within minutes, others came in. Before I was through with the first session there were 25! God is faithful to do MORE than we can ask or imagine. It was such an encouragment to see Him draw that kind of crowd on a holiday. Thank YOU for praying with us. While the school was in session, the rest of the team went to make home visits. 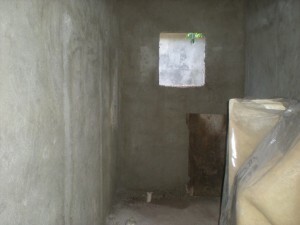 Part of our mission project funds were used to buy food for the poorest families. But it was more than just delivering the food. The group took the time to visit with the families and pray for them as appropriate. It is always a blessing to see God at work in the hearts of people. He was truly at work in the hearts of this ROW Mission Team. Please continue the P.O.P. for this mission team. Tuesday is another day. We are still asking God to bring unity in the churches by breaking down strongholds. We are still asking for His Spirit to draw students to the Pastors’ School. Please pray with us! 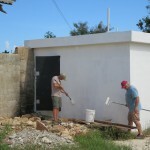 La Romana Team Needs P.O.P. Our La Romana team needs you! I know, you are at home and going to work, etc. You can’t come. No problem. You can bring P.O.P. from your car, your office, your bedroom, your morning jog, or from your church. But you definitely need to bring it! 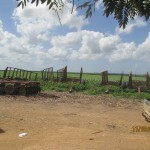 Last September I shared several posts with you about the spiritual condition of many of the churches in La Romana. They are steeped in legalism and competition. 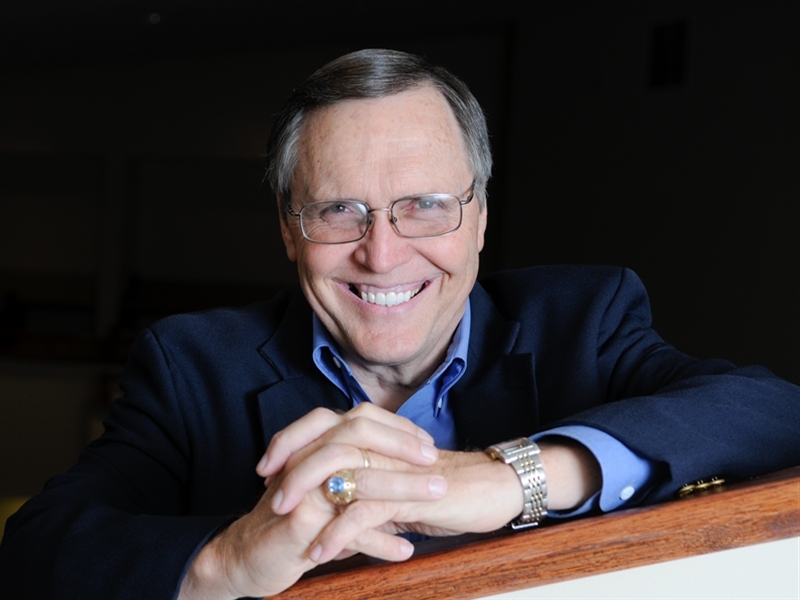 There is little trust between pastors or congregations. It is definitely a church in need of healing. How does that happen? God has to bring it. We recognize that, but we also know He has equipped us to participate in that process! For though we live in the body, we do not wage war in an unspiritual way since the weapons of our warfare are not worldly, but are powerful through God for the demolition of strongholds. We demolish arguments and every high-minded thing that is raised up against the knowledge of God, taking every thought captive to obey Christ. 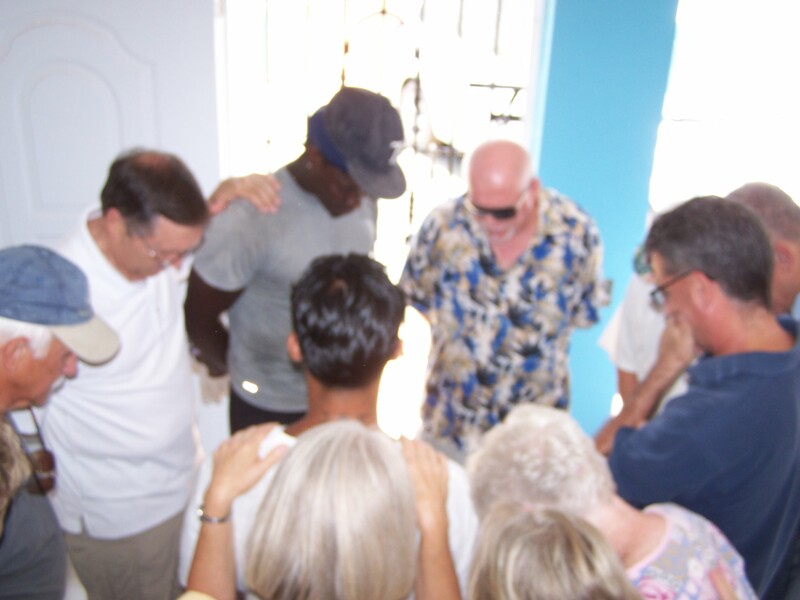 Our La Romana team needs you to join us in prayer. We have already been praying. Prayer is vital and all of us can be engaged. Pray for the strongholds of legalism and jealousy to be broken down. That is a great need here. 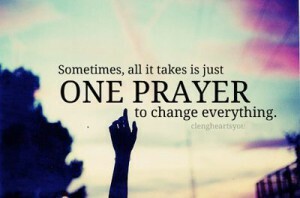 I am convinced it will only happen if God’s people pray. It’s not enough just to break down the stronghold. Pray for the establishment of God’s Truth. Jesus said Truth makes us free. There are bright spots of Christian faith and freedom here. 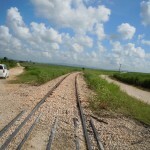 But many segments of La Romana’s Christian community need a rebirth of Christ’s freedom. After all, Galatians tells us to use our freedom for God’s purposes. 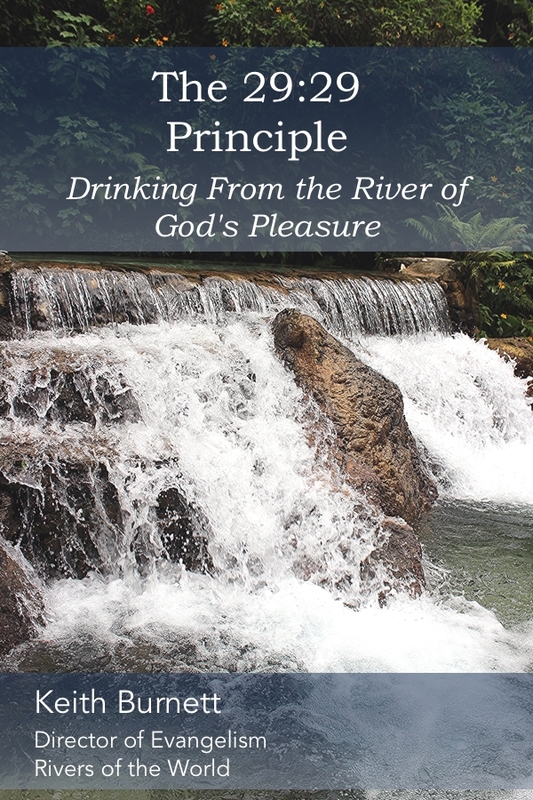 God’s purposes need to be accomplished here and everywhere. Will you pray with us? Will you continue to pray? I’ll keep you updated on the answers we see. In the meantime, please pray. The post you read on Friday was written on Thursday. 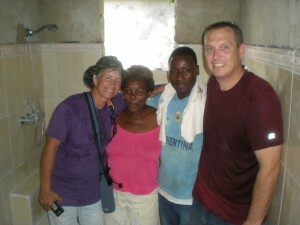 In it, I asked your prayers for Angela and our last day of work in La Romana. You were faithful in your prayers and the Lord was faithful to answer. 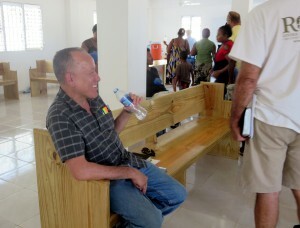 On Friday we held the medical clinic in a church led by Pastor Elias. 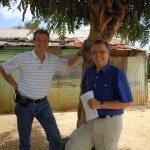 He has been part of the La Romana pastor’s school since its beginning. 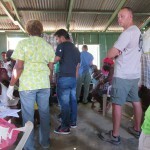 The clinic was a great outreach tool for his neighborhood. It was also a great evangelism training tool for him and leaders in his church. People came to faith in Christ during the clinic. That would have been cause enough to celebrate and kick back, but there were more prayers to answer. The clinic ran long but we still had a little time to see some of La Romana and shop for souvenirs before heading home on Saturday. 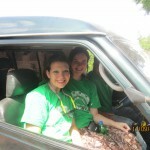 While we were together I had opportunity to share the Gospel with our van driver. He had been with us all week, watched us work, saw us laugh together, and saw how we treated him and each other. All of that played a part in him giving his life to Christ. When we returned to the hotel after dinner, we had our final debrief. The last thing we did was offer our prayers for Angela. As I walked to my room I found Angela at the front desk. She is a delightful young lady with a contagious smile. The conversation we all prayed for took place across the front desk of the hotel. She is now my sister in Christ. I couldn’t ask for your prayers without letting you know how our Father answered. 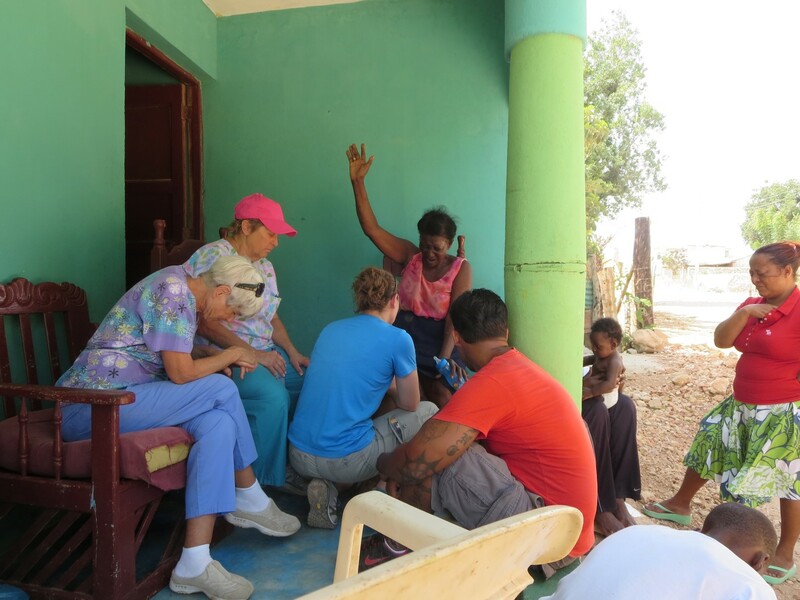 As awesome as it was to see the power of prayer in La Romana, the need continues. 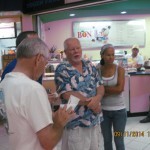 We will be back in La Romana but not until late Spring 2015. 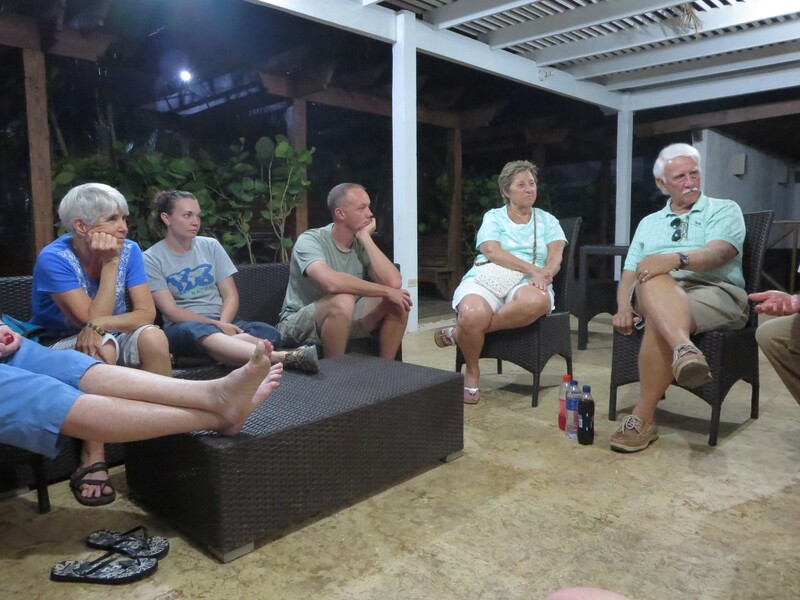 In three weeks we will be in Belize and your prayers are needed for some great mission volunteers and the work they will do.